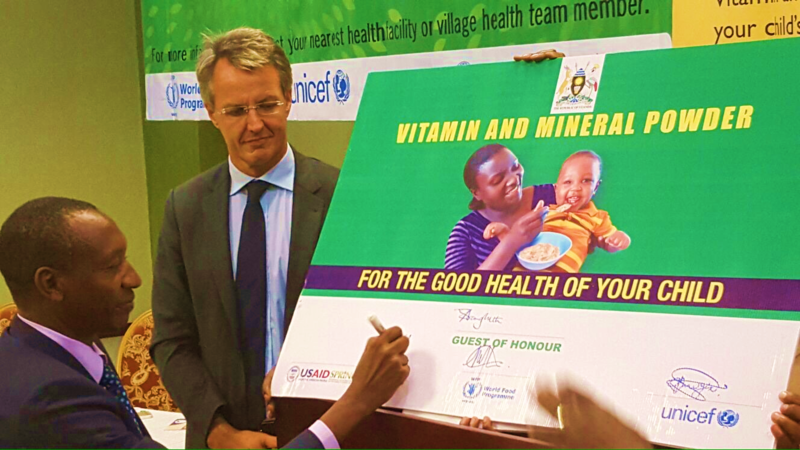 Uganda, like many other developing countries, suffers from a significant burden of iron, vitamin A, and zinc deficiencies. 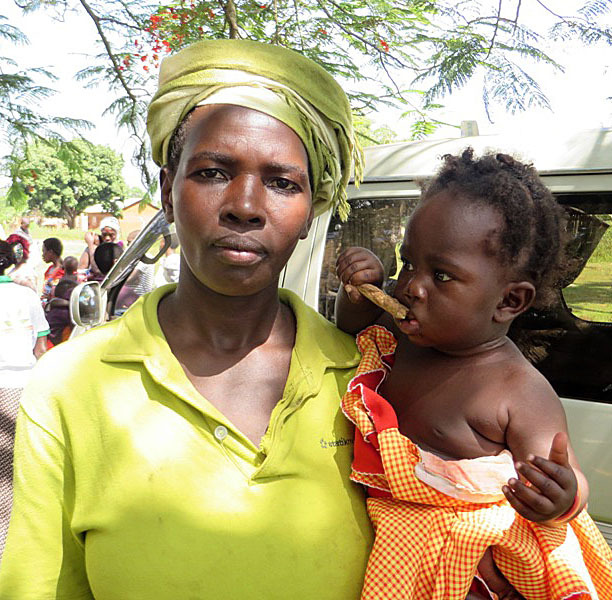 Additionally, iron deficiency anaemia affects almost 50 percent of children between 6 – 23 months of age and 30 percent of women of reproductive age. 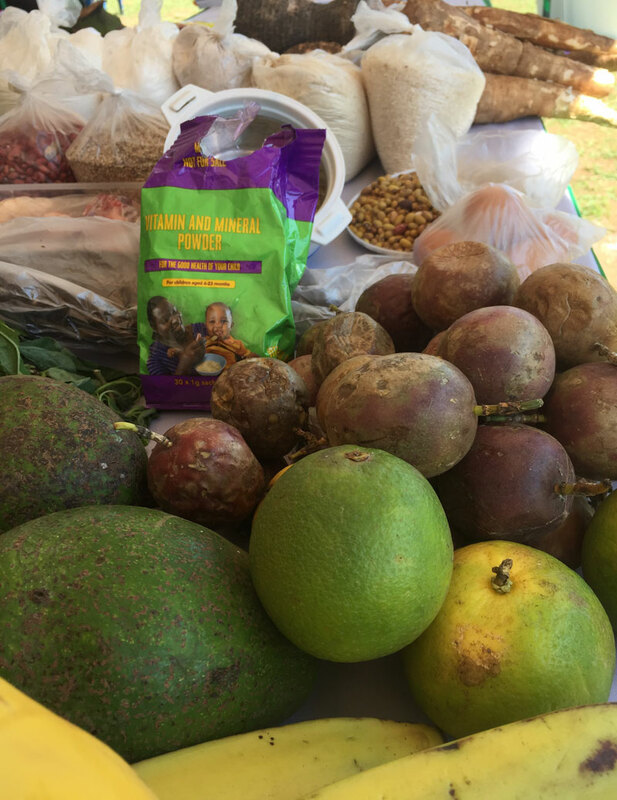 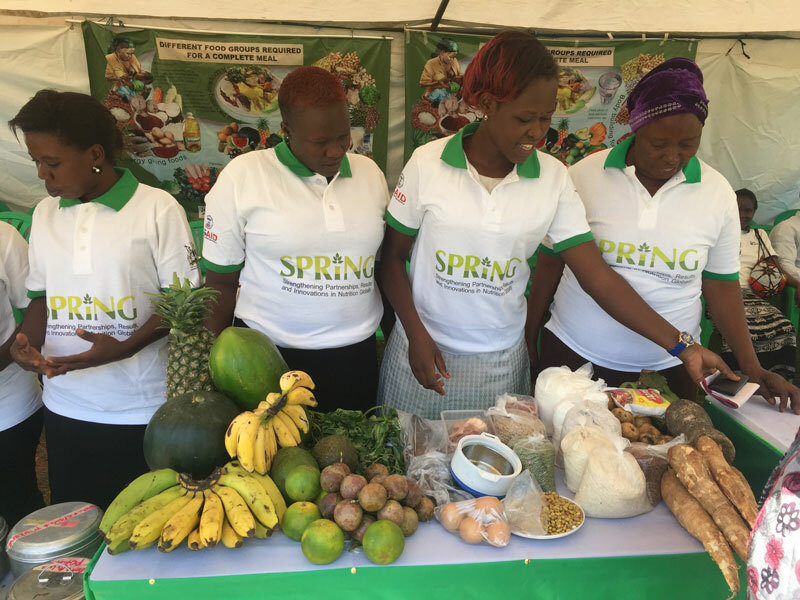 A staggering 87 percent of children in Uganda ages 6-23 months do not receive the recommended minimum of four food groups per day. 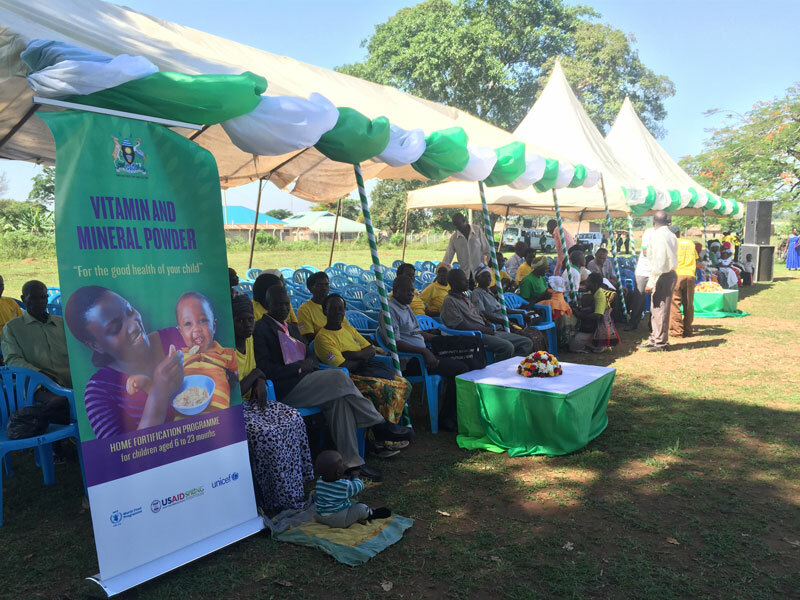 In Namutumba District, 52.1 percent do not receive the three food groups (energy giving, body building, and protective foods) and only 5.8 percent consume iron rich food (UDHS, 2011). 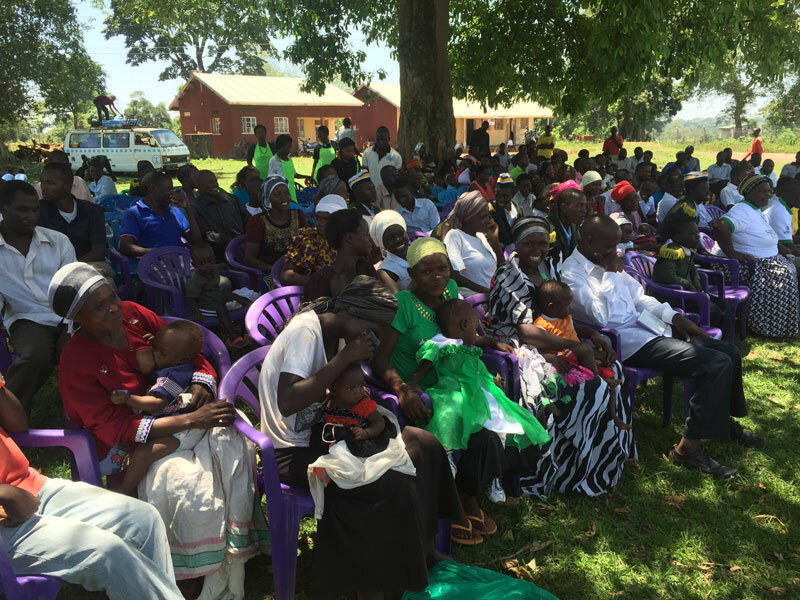 Namutumba District, especially, suffers from these micronutrient deficiencies. 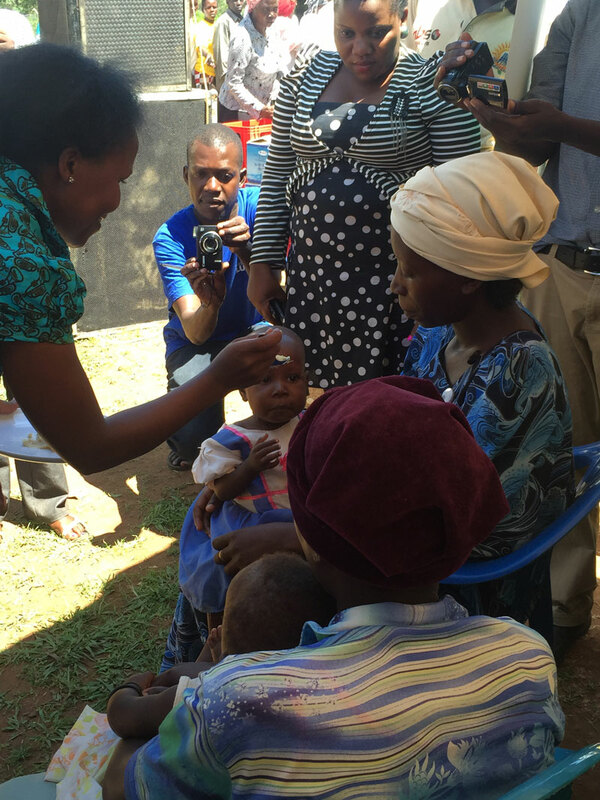 A recent survey by WHO found that over 80 percent of children 6-23 months in Namutumba suffer from anaemia (report not yet available online). 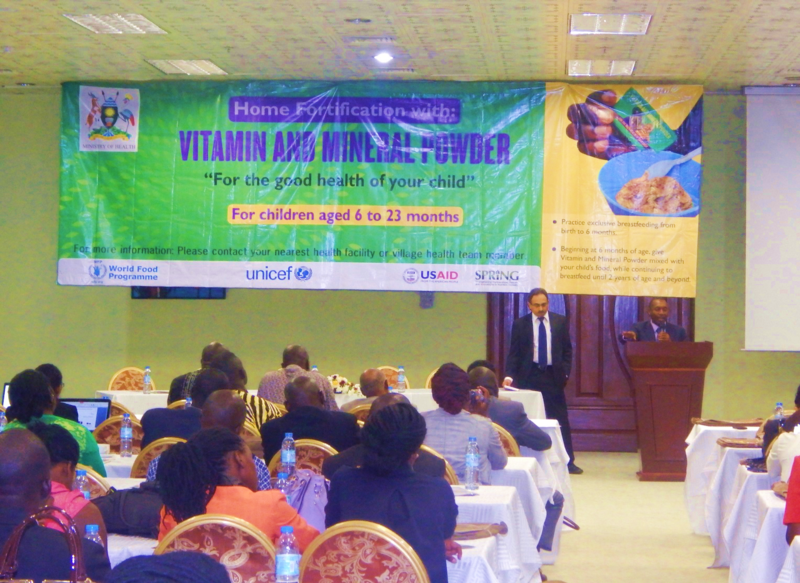 Fortunately, in the Ministry of Health (MOH) in Uganda, along with partners, is piloting the country’s first government-led program that enables caregivers to fortify children’s foods with micronutrient powders (MNPs) while also promoting improved infant and young child feeding (IYCF) and water, sanitation, and hygiene (WASH) practices. 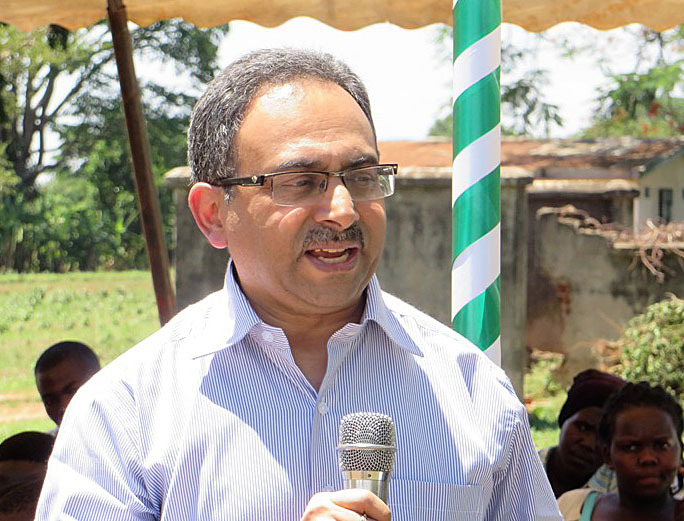 Mr. Shenoy further mentioned that the SPRING was tasked by the MOH to explore the distribution through two outlets: village health team members and health facilities. 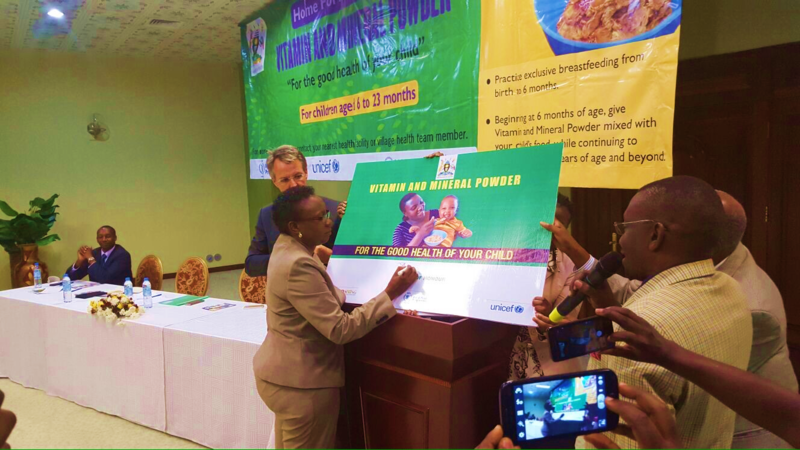 Therefore, this nine month pilot is complemented by an operational research study that will inform the MOH on the best avenue to distribute the micronutrient powders at larger scale. 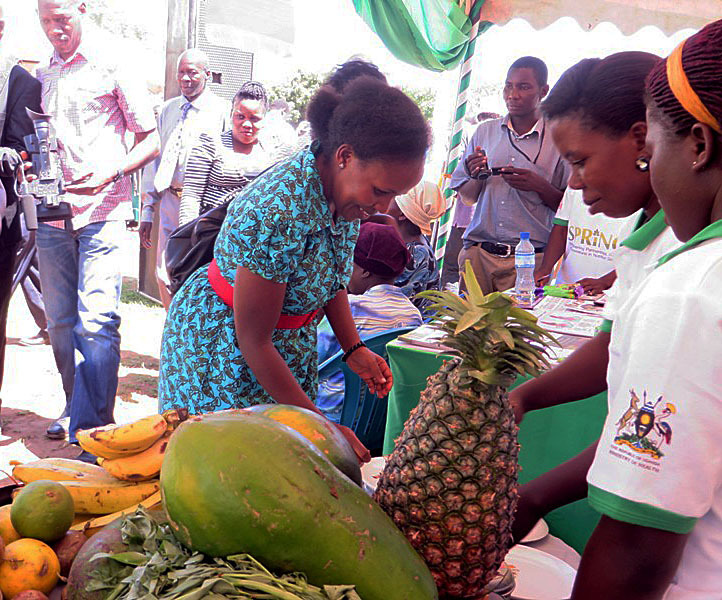 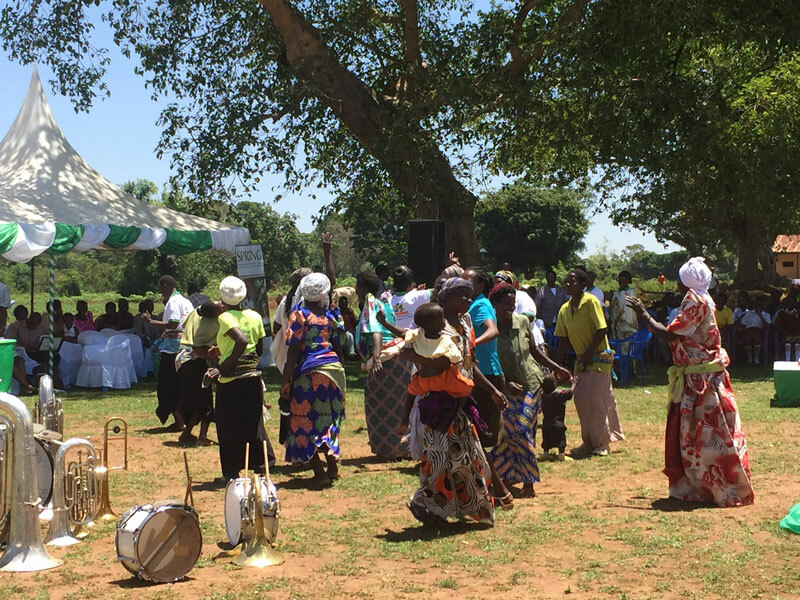 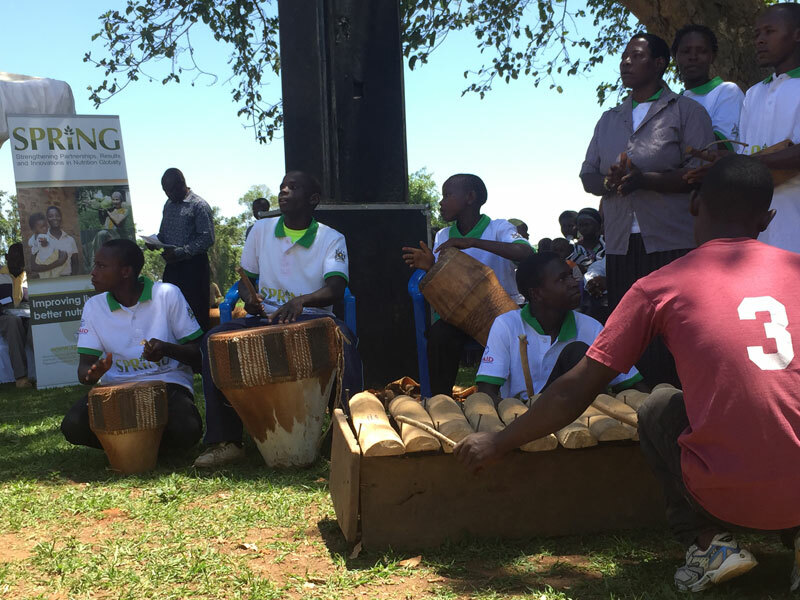 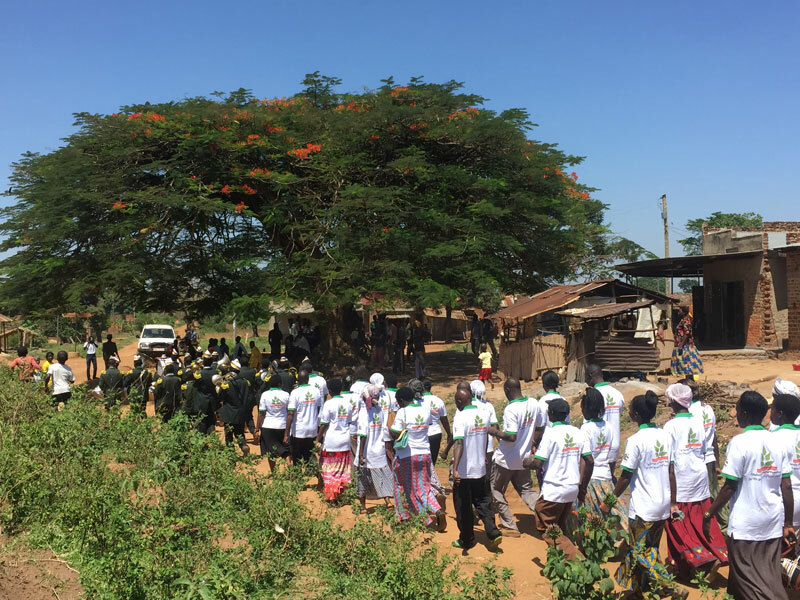 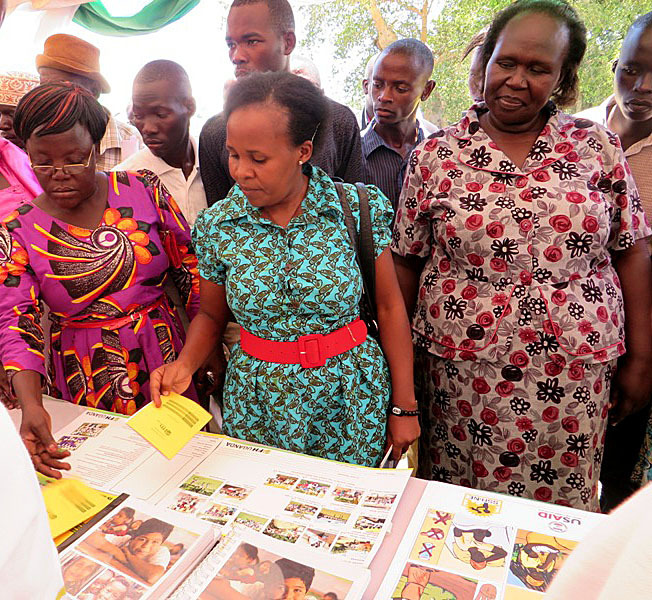 The launch event attracted hundreds of Namutumba District community members at the Nsinze Sub-County headquarters. 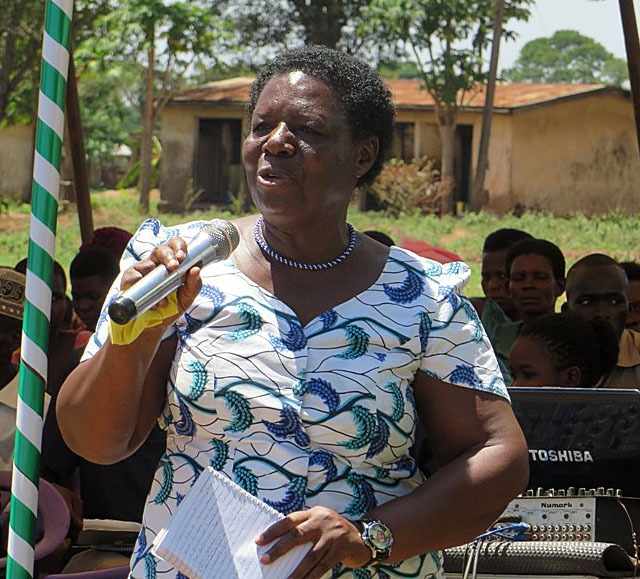 Guest of Honor Dr. Jacent Asiimwe, Head of the Nutrition Department at the MOH, emphasized that, “the MNP should be used as a motivation to promote infant young child feeding and water sanitation hygiene practices for the children 6 – 23 months.” These include complementary feeding at 6 months (timely feeding), thickness of the food, adequate food, encouraging the child to eat all the food, washing hands with soap, and observing proper hygiene of homestead. 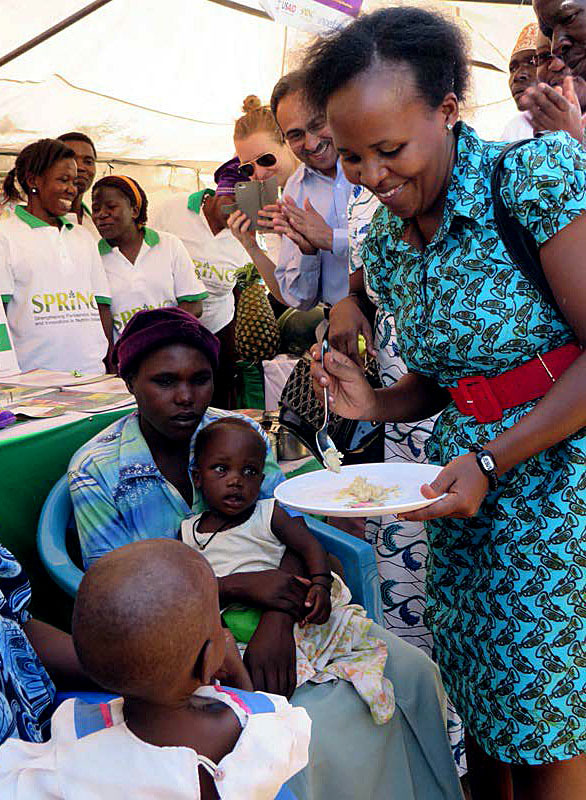 Mrs. Florence Mutyabule, the Area Women’s Member of Parliament reminded community members that, “There is a plenty and variety of food to address the challenge of malnutrition affecting the district.” But because there are many steps between food and improved nutrition, she urged the community to embrace SPRING programs in the district. 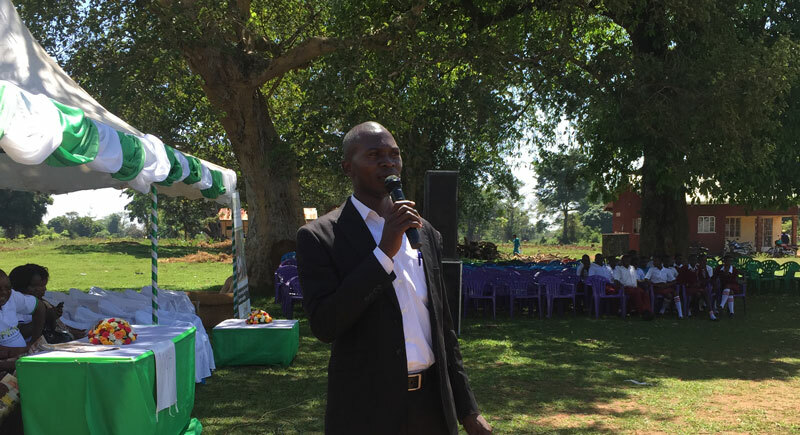 Mr. Shenoy took the opportunity to express his sincere appreciation for the cooperation and support received from Namutumba District in the implementation of the initiative. 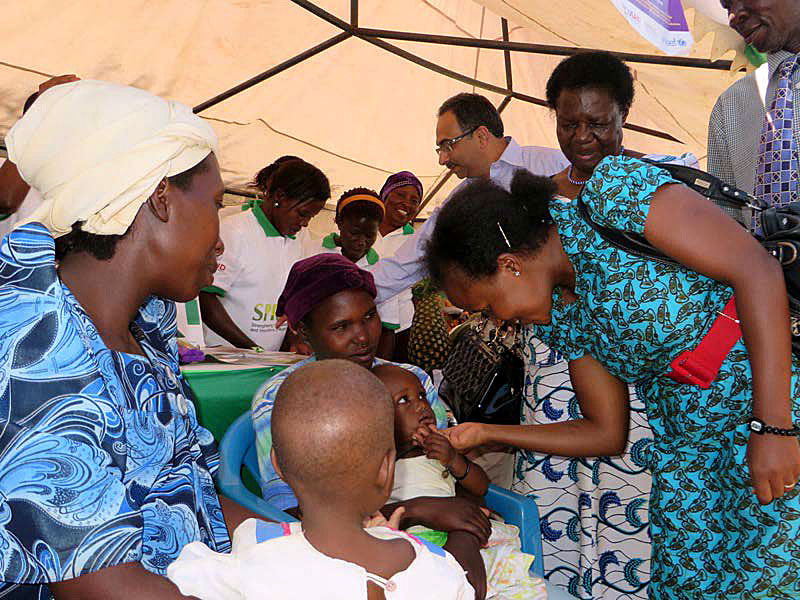 He also expressed his gratitude towards USAID and Government of Uganda for all efforts undertaken to alleviate the current malnutrition trends in country. 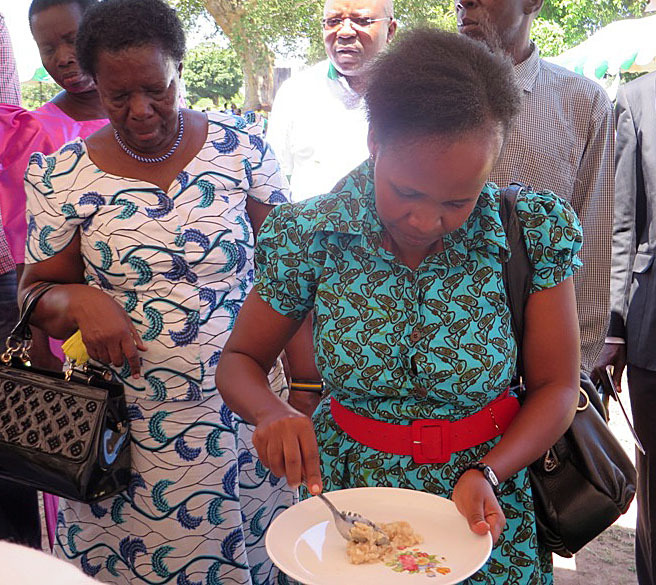 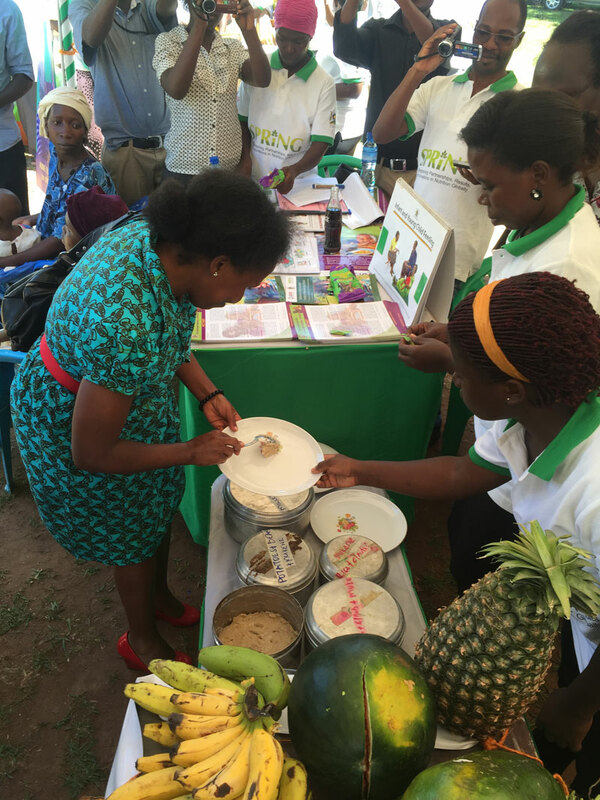 The event was crowned with performance of nutrition-related skits and songs and a tour of the exhibition stalls that showcased food demonstrations and communication materials, as well as an experiential activity where Dr. Asiimwe was involved the entire of process of preparing, mixing, and feeding children with the food mixed with MNPs. 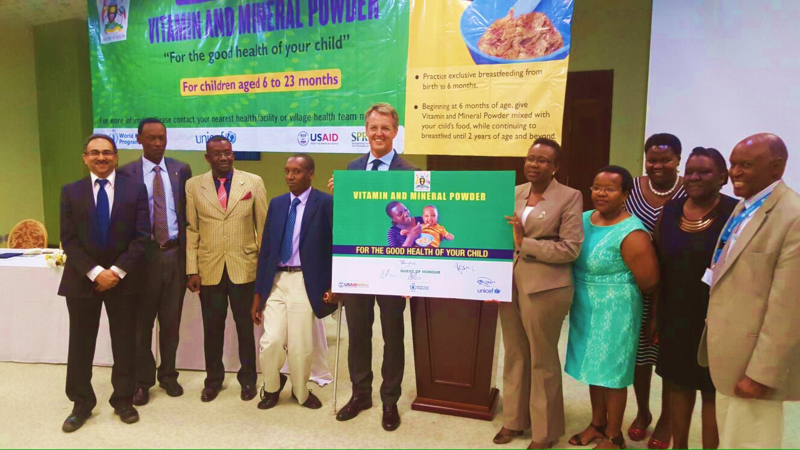 The Ministry of Health, in conjunction with SPRING, the World Food Programme, and UNICEF, is distributing the micronutrient powders to eight districts (Kabale, Ibanda, Kanungu, Nebbi, Pader, Amuria, Katakwi, and Namutumba). 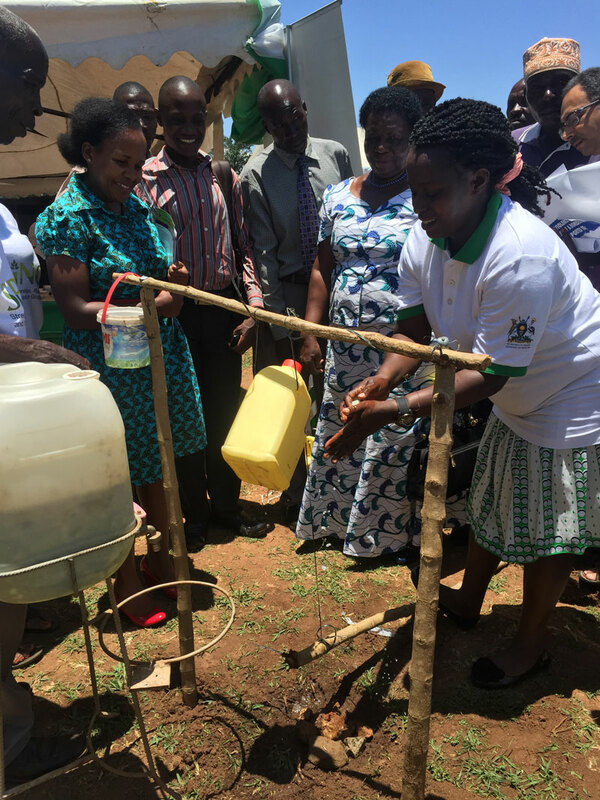 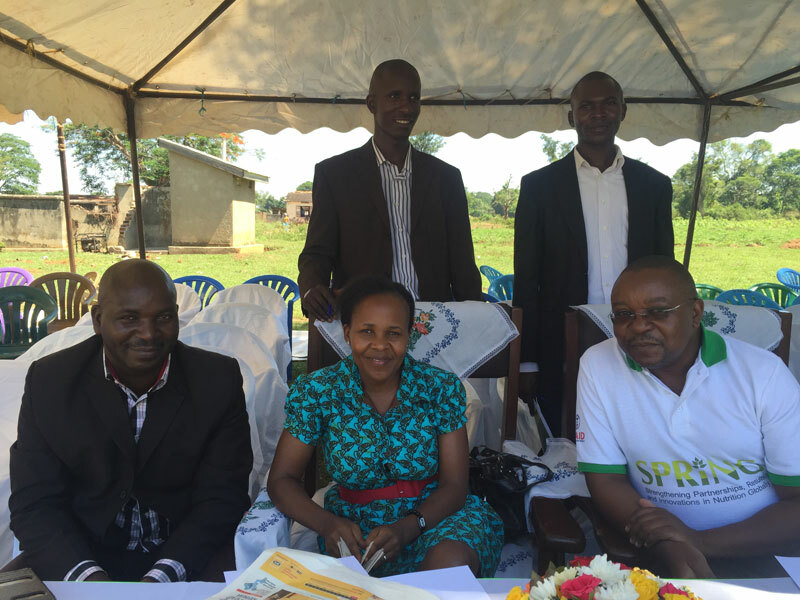 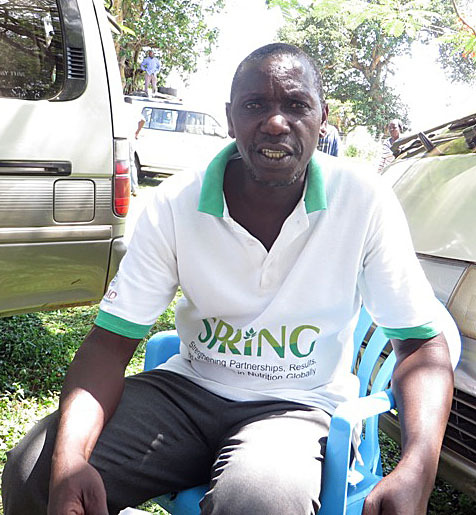 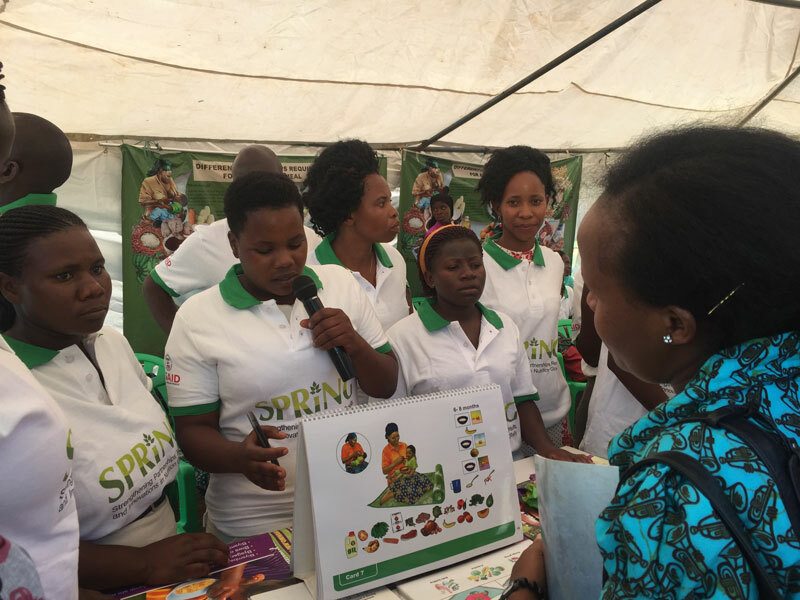 SPRING’s distribution in Namutumba District commenced February 23rd, 2016.